We spotted Graypants’ sparkling Mobius lighting fixture at Wanted Design during New York Design Week. 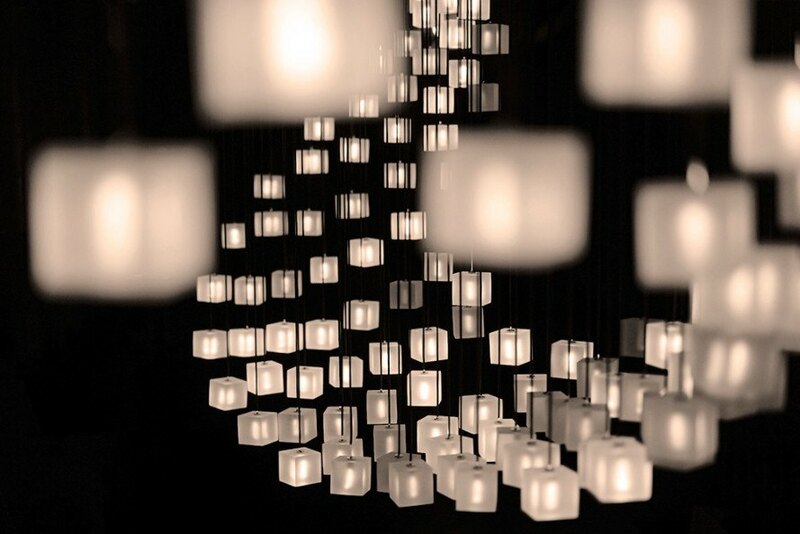 To understand the Seattle studio’s vision for this sculptural piece, it helps to hear it in their own words: “each frosted cube is lit from within, using the light-carrying qualities of fiber optic cable,” they write in their design description. And while the piece pictured in the images, which is on display in Seattle, looks like it could light up all of Ethiopia, Graypants notes that it takes only a few LED bulbs to illuminate the Mobius, resulting in less energy consumed, but sufficient brightness to light up even the most dreary room. The Möbius strip has become a popular motif in design, and it's easy to see why. It's challenging to come up with objects limited to one surface and one boundary, which is part of the official definition of this complex mathematical concept. Rarely have we seen lighting designers take it on - until now. 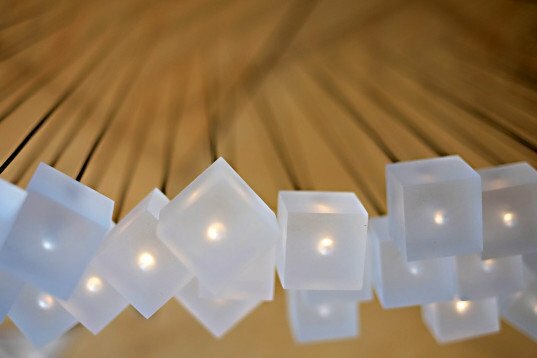 Graypants's Mobius lamp is a glimmering low-energy lighting fixture composed of dozens of tiny cubes hung from fiber optic cables. The cubes combine to create a sweeping, curving shape reminiscent of "the undulating forms created by flocks of starlings."